You are here: Home / Homeschooling / Homeschooling 101 / Homeschooling: What About Socialization? Socialization for the homeschooler is always one of the hot topics. In fact, when we first considered homeschooling four years ago — well, when I first considered homeschooling four years ago — that was one of my husband's first objections to the idea: "What about socialization?" Now that we've been homeschooling for four years, I think I can fairly pass judgment about whether homeschooling has hindered them socially. They've been in the homeschooling "system" long enough for them to be thoroughly unsocialized, right? Are my children unsocialized? I would have to say a resounding no. My kids have no problem interacting appropriately with other children or adults of any age in just about any situation. The term "socialization" is such an ambiguous word. I think far too many people use the term without having a firm meaning in their mind. So in the interest of full disclosure, here's my definition of socialization. Of course, you have every right to disagree with my definition (but if you disagree, I'd love to hear what your definition is). Socialization n. "The process by which children learn the acceptable norms and behaviors related to interaction with others, both individually and in a group." How's that for a textbook-like definition? So what do I really mean? What is socialization? When spoken to, he does not respond with an appropriate response. For example, when someone introduces himself, the unsocialized person does not respond in kind. Either he is so uncomfortable that he offers little, if any, response at all (sometimes avoiding eye contact as well), or his response is brash or rude. He is not tactful when making comments about others' behavior or appearance. For example, if someone is shabbily dressed, the unsocialized person may make rude comments about or to the individual. When he encounters a person who is different than himself, either in values or culture, he is in unable to interact appropriately. He may ignore the person entirely or he may act rudely toward the individual. He does not respect or respond to authority appropriately. For example, when a teacher or leader reprimands him, he responds rudely or ignores the reprimand entirely. This list was especially easy to write having just finished a couple weeks of church day camps. During those camps, I was able to observe about 150 different children, all from different walks of life. There were some children who would be described as well socialized, yet there were also quite a few whom I would describe as very unsocialized. What I found especially interesting was that my son, Jaden, noticed this as well. And while he was kind to all the children present, interacting appropriately with each one, he made a point to say that he would never want to act like them. Now that I covered what it means to be unsocialized, here's my list of what it means to be socialized. He behaves in a "socially appropriate manner" at all times. I know this is a rather general statement, but I think you know what I mean. He isn't talking out of turn, he's not climbing the walls when he's supposed to be sitting quietly, he's not interrupting others during conversations, etc. He is aware of how his behavior affects those around him and adjusts his behavior accordingly. He puts others' needs in front of his own. He can successfully hold a conversation with other people, regardless of the age of that person. He is aware of — and sensitive to — the feelings of others and is tactful in his statements. He can interact with people who are different from himself. He does not compromise his values by participating in behaviors that are inappropriate, but he does not expect, nor require, everyone else to be exactly like himself. He respects and responds to authority appropriately. How does one learn socialization skills? Some people argue that a child can't learn socialization skills without attending public school and interacting with 20 to 30 other children his same age. I would respond by saying that socialization can be learned in a public school setting, but it's often difficult — and sometimes a hit-or-miss situation. It's not impossible by any means, but public school is just not an infallible prescription for socialization. Why? Because a child in a public school setting spends most of his school day observing his same-age classmates — who like himself have not necessarily learned proper socialization skills yet — he may or may not be able to discriminate which behaviors he is observing are appropriate and which are not. In reality, the child is likely to adopt the behaviors of the children he hangs around with the most, whether those behaviors are desirable or not. I would add that what the child learns at home from his parents influences how well the child picks his friends and therefore which behaviors he observes and emulates the most. Additionally, when the child brings a particular behavior home and puts it into practice, his parents' reaction to it has a tremendous influence on whether that behavior is retained by the child. 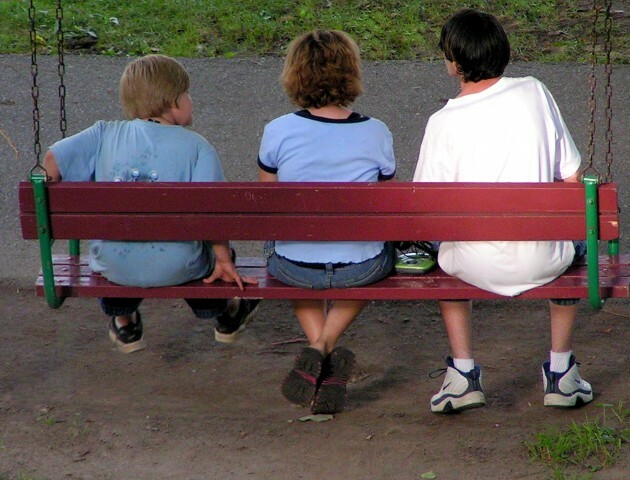 Additionally, in a public school situation, since there's often only one teacher to the 20 or 30 children, and since much of the free interaction between students occurs during P.E., lunch, or recess, the teacher may not be able to give immediate feedback to each individual child about the appropriateness of their behavior. Furthermore, the child in public school does not get much opportunity to interact with children much older than them. How often do elementary-age children get to interact socially with high schoolers? Of course I realize that a child can go through public school and come out perfectly socialized and able to interact appropriately with others. But I propose that those public school children who are successful at learning socialization do so mostly because of the influence of home. Why Is Homeschooling Good for Socialization? In my opinion, homeschooling is an ideal place to learn socialization. One of the reasons is that homeschooled children are generally around adults more often. Not only does that mean a homeschooled child has the opportunity to observe (hopefully) more mature socialization behavior, but since his parents are around him more often, when the child interacts with their peers, siblings, and with adults, his parents will tend to offer immediate feedback about his behavior. Ideally, this results in a child adopting appropriate socialization behaviors. Furthermore, homeschooling also offers the child a more limited, yet at the same time a more expanded pool of behaviors to observe. Since the child's "class" is his family, he is (ideally) not exposed to as many of the undesirable behaviors he might have observed in a public school classroom and is therefore not given as much opportunity to emulate those undesirable behaviors. Alternatively, a homeschooled child is often introduced to a wide range of behaviors through field trips, homeschool support groups, and other outside activities. This interaction with adults and children both older and younger than himself which gives him the opportunity to observe and interact with a wide variety of people, not just children his own age as occurs in a public school classroom setting. While this may mean he is sometimes exposed to behaviors that are undesirable, the parents are often available to offer immediate feedback and to discuss the situation. As a minor example, my own children participated in a homeschool group this last year, and it happened every week that the younger kids (5-10) were playing with the older kids (10-14) and interacting just fine. There weren't any stigmas that the older kids couldn't associate with the younger kids as often exist in public school. In my opinion, that's a perfect example of well-socialized behavior. So although a child can learn socialization in a public school setting, I believe proper socialization skills can be learned more easily in a homeschool setting. Great post on homeschool socialization, Joy! Well written and well-said. .-= Heather´s last blog ..Jul 8, Choosing a Homeschool Support Group for Your Family =-. Very well written. I agree with you. This is great info. I feel the same way. Socialization is so much more than being able to interact with a class full of kids your own age. .-= Robin´s last blog ..Houston Trip =-. Great post – especially about the part that homeschooled children get opportunities involving socialization that public school kids just don't have. Since core lessons don’t typically take 6 hours to teach (like public schools), the student has even MORE time to interact with community groups, non-profit organizations, or whatever worthy social interests the student wants to pursue. This gives the student opportunities to really build some notable accomplishments that would be tougher to achieve in a public school environment (You can just imagine this exchange from a public school student talking on the phone with her favorite charity, “What? A once-in-a-life-time series of charity events that starts at 10AM and lasts for the next 4 days? Sorry, but I don’t get out of school until 2:30PM”. Bummer). In fact, if the social environment is designed right, the parent can BETTER prepare their students for college in this respect because college is all about interacting well with people across ALL age groups (like the real world) instead of being forced to interact 99% of the time with people within 1-4 years of the student’s actual age for 12 years of the public school student’s academic career. Well stated. I whole-heartedly agree that homeschoolers need not get "stumped" by this question. As you articulately pointed out, it all comes back to truly understanding what socialization is and isn't. Not to knock public-schooled kids, because I know some who are true gems, but I marvel at how society-at-large can cry "socialization!" and then wring their hands at the prevailing mediocrity making its way from the campus to the workforce. Too often, children in a public school setting aren't learning the kind of socialization that will allow them to become productive adults, but the kind that gets them invited into the right clique. .-= Ashley Moreno´s last blog ..Out of warranty…. =-. Socialization has been on my mind quite a bit lately. I think you nailed it on the head. .-= Judy´s last blog ..Thirsty Thursday—Ebaying =-. You most articulately expressed how we HSers view and accomplish socialization. I think it's so funny when people ask me, "How will your daughter have any friends if she doesn't go to school?" I ask them (innocently), "Oh. I thought school was for learning. Your kids go to school for making friends? Interesting. We do the friend thing outside of school — nights and weekends." It sort of leaves them without much to say. I mean, school IS for learning.